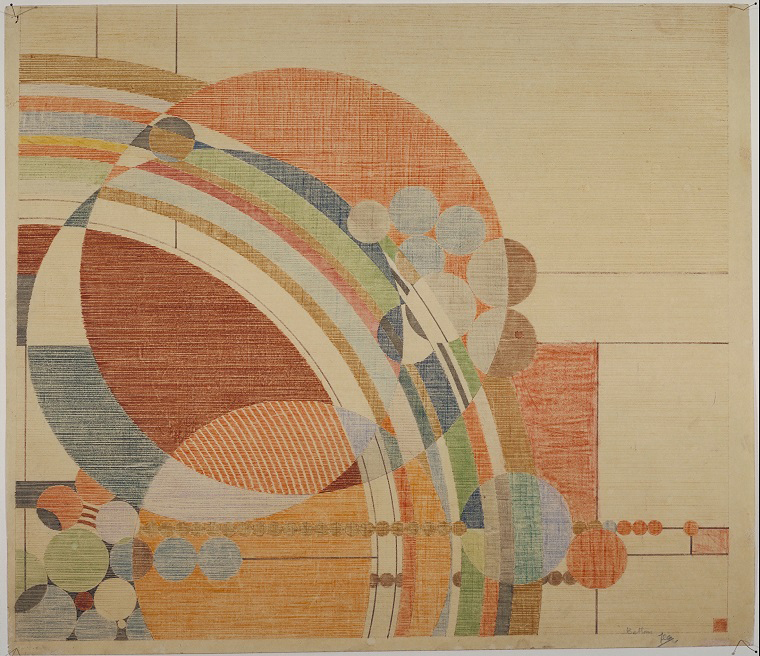 Frank Lloyd Wright, Liberty Magazine cover, colored pencil on paper, 24.5 x 28.25” (62.2 x 71.8 cm), 1926. 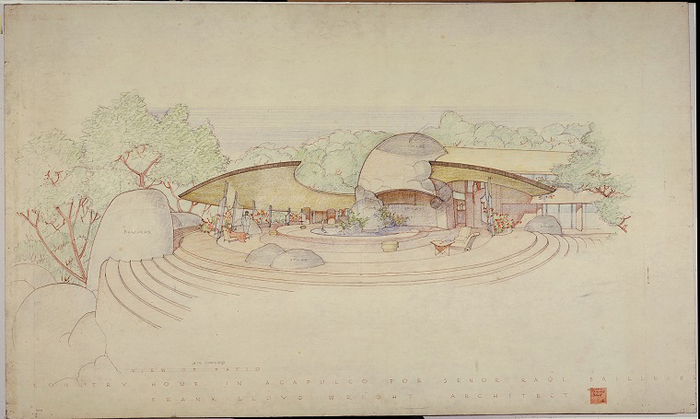 Courtesy of the Frank Lloyd Wright Foundation Archives (the Museum of Modern Art/Avery Architectural and Fine Arts Library, Columbia University, New York). 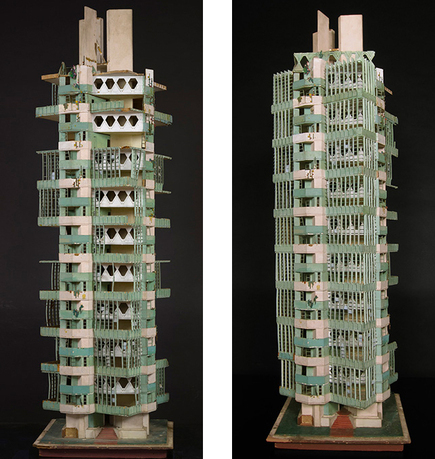 The Museum of Modern Art's major exhibition Frank Lloyd Wright at 150: Unpacking the Archive critically engages the Frank Lloyd Wright Archive, revealing the extent to which relevant perspectives, themes, and connections can still be drawn from the works of this iconic American architect. The exhibition aims to introduce general audiences to previously inaccessible works, and importantly, open up Wright's work to new questions, interrogations, and debates, catalyzing contemporary scholarship on Wright. A catalogue structured as an anthology of essays, a robust calendar of educational programming, and a public symposium accompany the exhibition, timed to coincide with the 150th anniversary of Wright's birth. Frank Lloyd Wright (1867–1959) is one of the twentieth century's most renowned and influential architects, whose work indelibly shaped the course of modern architecture. More than one third of Wright's buildings are listed on the National Register of Historic Places or are in a National Historic District, and many of his extant structures are currently under consideration to become UNESCO World Heritage sites. In all, Wright designed 1,141 architectural works, including houses, offices, churches, schools, libraries, bridges, museums, and more. He also pioneered in the design of furniture, fabrics, glass, dinnerware, silver, linens, and graphic arts. A prolific writer, educator, and philosopher, Wright authored numerous books and countless articles and lectured throughout the United States and in Europe. Barry Bergdoll is curator of architecture and design at the Museum of Modern Art and the Meyer Schapiro Professor of Art History and Archaeology at Columbia University. He is the author of many publications, including Bauhaus 1919–1933: Workshops for Modernity, winner of the award for Outstanding Exhibition Catalogue from the Association of Art Museum Curators (2010). He served as president of the Society of Architectural Historians from 2006 to 2008, as Slade Professor of Fine Art at Cambridge University in 2011, and in 2013, delivered the 62nd Mellon Lectures at the National Gallery of Art in Washington, DC. Founded in 1929 as an educational institution, the Museum of Modern Art is dedicated to being the foremost museum of modern art in the world. Through the leadership of its trustees and staff, the Museum of Modern Art manifests this commitment by establishing, preserving, and documenting a permanent collection of the highest order that reflects the vitality, complexity, and unfolding patterns of modern and contemporary art; by presenting exhibitions and educational programs of unparalleled significance; by sustaining a library, archives, and conservation laboratory that are recognized as international centers of research; and by supporting scholarship and publications of preeminent intellectual merit. Central to the Museum of Modern Art's mission is the encouragement of an ever-deeper understanding and enjoyment of modern and contemporary art by the diverse local, national, and international audiences that it serves.